Norman Chaney, one of several child movie stars who played “Chubby” on Our Gang, was born in Cambridge, Maryland. He moved to Baltimore and lived just 21 more years. An unlikely series of events took Norman Chaney from his Baltimore neighborhood to Hollywood. Our Gang (also known as Little Rascals and Hal Roach’s Rascals) was a series of about 220 comedy shorts that starred children in a poor neighborhood. 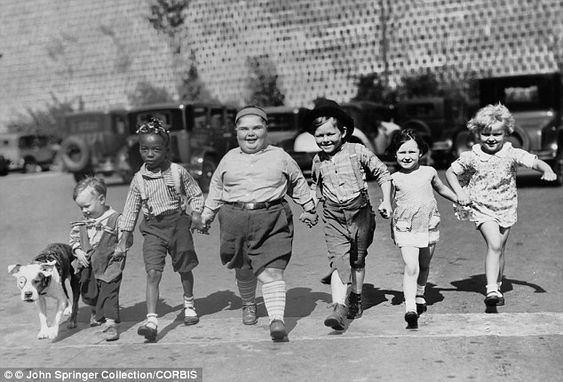 Hollywood had never before told stories that featured boys and girls together nor had there been shows where black and white children played together. Plots typically revolved around these poor children being at odds with the rich children in the neighborhood. In 1928 Hal Roach, a producer, director and actor, was in a bit of a bind. Child star Joe Cobb, who starred as Chubby on Our Gang, was getting too old for the part. Roach needed a replacement star. To expedite the change, he launched a nationwide casting call. An unknown 3’ 11” and 113-pound Baltimore boy, Norman Chaney, won the two-year contract and moved to Hollywood. Films of the time were still a hybrid of silent and sound. Chaney’s easy going personality and expressive face allowed him to blend into the role. He was a quick learner: Character actor and comedian Edgar Kennedy even taught him his trademark “slow burn” technique, a slow series of exaggerated facial expressions that signaled exasperation. He was a natural talent and an overnight star. Cobb and Chaney both appeared in the episode Boxing Gloves and eased viewers into the transition of their characters. His first lone appearance was in Railroadin’, the second sound episode of Our Gang. He went on to appear in 18 or 19 more episodes. His last episode was Fly My Kite. Of these, Love Business is considered one of the series’ all-time classics. Fame was fleeting. Within two years, his boyish looks changed as he moved into adolescence. His weight increased to 300 pounds and he was dropped from the show during the 1930 – 31 season. A variety of child stars rotated through the roles between 1922 – 1944, though it was most popular during the time that Chaney played the role since sound was introduced during that time. Chaney never received royalties. He returned to Baltimore and was later treated for a glandular disorder, apparently long-standing, at Johns Hopkins Hospital. He died of myocarditis at 21 years old. For the next 76 years, Chaney rested in an unmarked grave in Baltimore Cemetery near his grandparents, Mildred and William Myers. However, the Our Gang series developed a cult following of fans. One of them was Detroit rock musician MIKAL, who raised $4500 for a gravestone for both Chaney and his mother Carolyn Myers. These days, it is not unusual for cult followers of the series to stop by Baltimore Cemetery and pay their respects to Norman Chaney at Baltimore Cemetery.